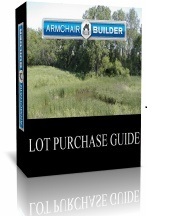 Lot Purchase: Builder tips and secrets to avoid surprises- Armchair Builder :: Blog :: Build, renovate, & repair your own home. Save money as an owner builder. 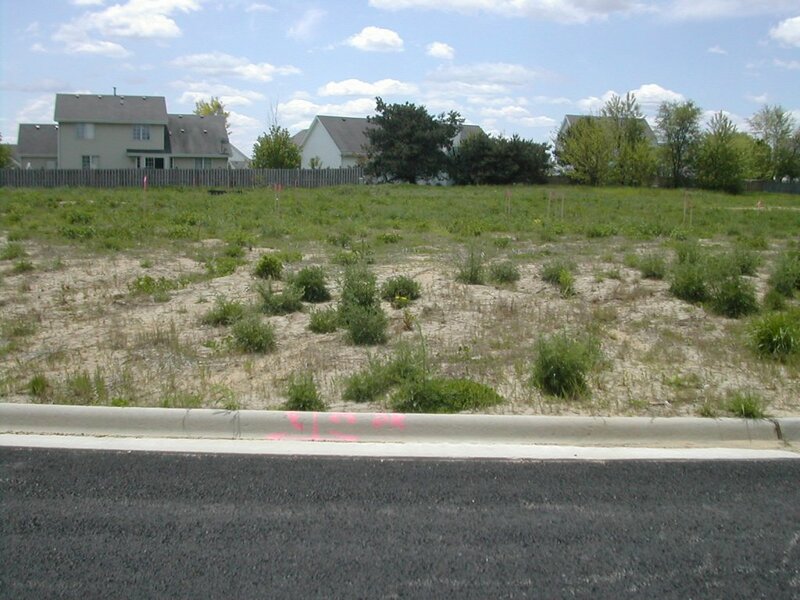 There are many things to consider when looking at potential lots to build your dream home on. This includes the obvious things like neighborhood, proximity to shopping and views. But there are some other items that are not so obvious that you should be on the lookout for to avoid surprises. This is part two of our series on how to buy the lot for your future dream home. If you missed the first segment, just go to the article and video…Lot Purchase: Builder Tips Part I. 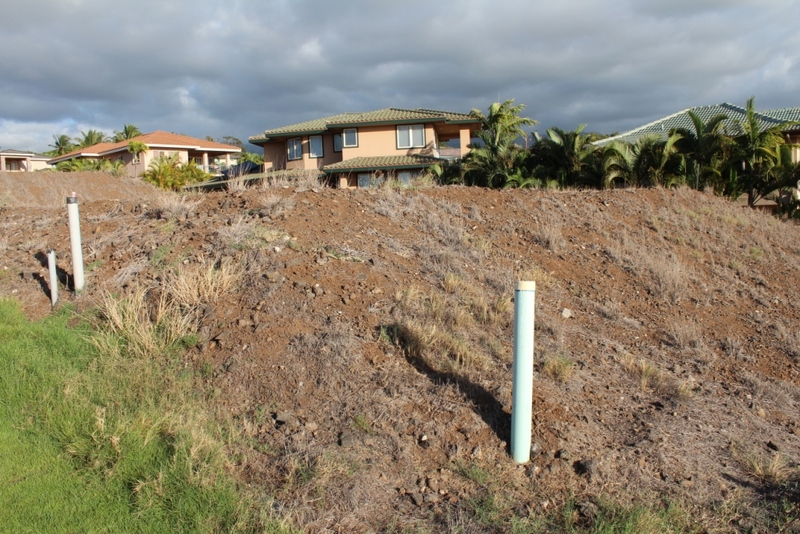 One important consideration when looking at potential lots to build on is the topography or slope to the land. Flat and sloped lots each have their own challenges when building a trouble free home. If you are looking at a flat lot like the one in the picture above, you will want to work with your civil engineer to set your home at an elevation to allow for proper drainage. Most codes require a minimum drop in grade around the home of six inches for the first ten feet out from the structure. This prevents water from ponding near your home’s foundation. Because the lot above is so flat, it is best to build a home with a basement or crawl space. This will allow the home to be set up out of the ground to help with drainage. If a slab home is preferred, fill will need to be brought in and compacted at the house location. This will cost additional money without realizing any real benefit. For a steep sloping lot like the one shown in the picture above, transitioning this big drop in grade over such a short distance will be impossible without special considerations. So when looking at these types of lots, you will want to include retaining walls into the overall design and budget. You will work with your civil engineer to design the grade to meet safety and code requirements. The great thing about building your own new home is your ability to choose any lot and plan that you desire. The sky is the limit but you need to keep in mind the delicate relationship between these two items. With a really flat lot, you will probably want a crawl or basement foundation to help get the house up off the existing grade and provide proper drainage. If you have a lot that slopes steeply to one side like the one shown here, you will want to create a bi-level plan to save money on retaining walls and fill costs. There really is a marriage between the plan and the lot so your choices for each shouldn’t be made independently of each other. If you do, your costs can go up dramatically. Of course, you can build a home on a lot where some of these utilities are missing, but be sure to include the additional costs in your budget. If you need to add a solar power system, water well or catchment system, and/or septic system, your costs can go up tens of thousands of dollars. One other important item to consider when looking at potential properties is the driveway connection to the road. Where will the future driveway connect to the public road and what is required? For the lots in the pictures shown above, the only thing needed is a curb cut as both communities have a tall, squared off curb. Be sure to check with your local building department to find out what will be required to make the connection. In some cases, you may need special permission and permits from state or county agencies to tie your driveway into the public road. These are just a few of the things you need to consider for your lot purchase. Be sure to watch our recently published video, Lot Purchase Part II, to find out more details. And if you haven’t reviewed part one of this segment, check out…Lot Purchase: Builder Tips Part I. We also have a great new resource to help you buy property to build your dream home. There are many checks to do to prevent hassles and hidden costs. Our Lot Purchase Guide provides secrets that professional builders use to screen potential properties.